London Anti-Fascists is an activist network that fights fascism on the basis of direct action and working-class politics. It is part of the national Anti-Fascist Network. 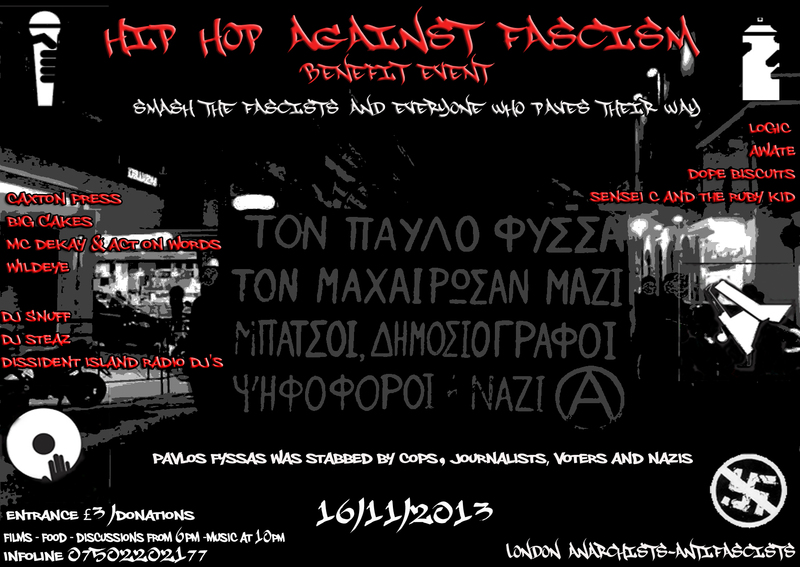 Hip-hop against fascism, benefit for greek antifascists.